We promised that we would post them as soon as we got them and here they are! 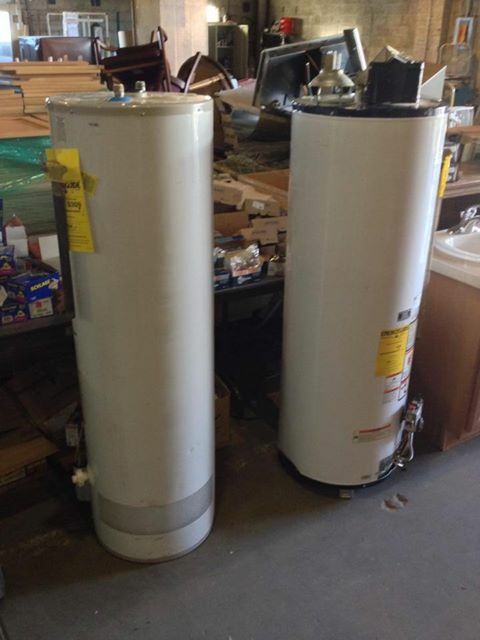 The #1 item people have been asking about is hot water heaters and we just got TWO in. Come and get ’em while you can because they will not be here long! As always, Bud’s Warehouse is open to the public. Bud’s Warehouse also offers vinyl flooring, marble and granite, doors, kitchen cabinets, appliances, carpet, hardware, light fixtures, cabinet doors, bathtubs, sinks, and many other building materials. The innovative concept of a home improvement thrift store has become increasingly popular with area homeowners seeking savings of up to 70% on home improvement items while helping others.